we leave in 2 weeks. 2 WEEKS! NC has been my home for the last 11 years — the only ‘adult’ home i’ve ever known, and i will miss it very much. but josh and i have also quietly been counting down to this miami beach relocation for years.
. . . a home of our own [we’ve been in an apartment for the past 6 years]. we don’t have a TON of space but our house has so much character and potential. josh has been down there getting started on some improvements already. and FL bonus: we will have a pool! i can’t wait to spend weekend days splashing away with annabel.
. . . SOOO much family. we’re talking parents [in-law for me! ], siblings [in-law for me again! ], grandparents [also in-law], nieces, nephews, cousins, aunts, uncles, godparents, close family friends . . . seriously, our village is basically down there, though i do have to work on getting my parents to move south, too. i’ve never lived close to so much extended family. i think it will be incredible both for josh and me, but especially so for annabel and her yet-unnamed-mystery sibling.
. . . a new exciting community to explore. i love durham, but i am sure that there are a million things to love about miami beach, too. in case you didn’t know [and i didn’t until an embarrassingly short time ago], MB is a little strip of islands [“natural and manmade barrier islands” according to wikipedia] just east of miami. it has its own character separate from miami proper, and i’m looking forward to really learning its ins and outs. of course, miami isn’t far [just over the bridge really] and i am sure we’ll spend lots of time there, too. * purging unnecessary things/clutter as we move. we don’t have a ton of stuff but i’m still itching to throw things away. clean start! * my new JOB . . . seriously, the past 2 weeks on the wards have reminded me how thrilled i am to be going into clinical pediatric endocrinology. but we’ll save that for another post. * going broke. no, seriously, i hadn’t realized how $$$$ it is to relocate. also, wind insurance in miami? IS. RIDICULOUS. i’m sure we’ll be just fine in the long run, but it feels weird to start out so in the red. tasks for sometime after we move: create a BUDGET and consult with a financial planner. * getting lost. but hopefully GPS will save me! * culture shock. i really have been accustomed to the pace and attitudes of NC. people are nice here and we do NOT move that fast. i’ve gotten used to small talk on elevators, conversations in the supermarket checkout lines, and waving to fellow walkers/runners/strollers while outside. i’m pretty sure things will be different where we’re going, and it will be a lot to get used to. ever make a major move [bonus if it’s in conjunction with one or two major life changes 🙂 ] ? ALL tips, suggestions, reassurance appreciated! I am in the same situation–excited but nervous about relocating! Moving IS so darn expensive. It was a bit of a shock when we got estimates from the movers. How fun that you’ll have a pool in your new home! I am really going to miss you, but am so excited for this huge new chapter…it hasn’t really hit me yet that you’re going to really, truly be in Miami Beach! 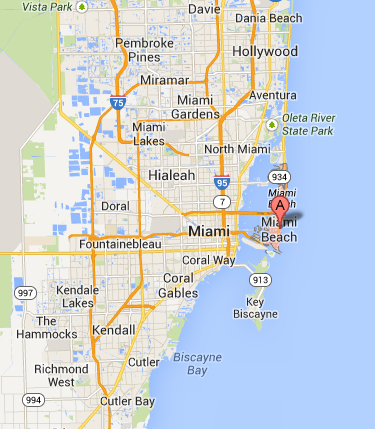 And no, I had no idea that it was separate from Miami…not a geography major over here. I can’t wait to follow along via the blog, and someday I am going to make it down there! 7 years ago I moved from Chicago to Philadelphia to start med school. I wish I could say that I loved Philly, but I don’t. Those 11 in Chicago were some of the best years of my life. I miss it, but there’s no point in moving back since most of my old friends don’t live there anymore either. It wasn’t a big move, but I bought a house and moved into it, got married and got a new job within a 2 month period in 2010. It was stressful, but I tried to take it day by day (and probably cried some). i am sure i will cry too!!! preg hormones don’t help with that, either!! I think all major changes are tough for the first few months, then you get settled in, make friends, find your new routine, and it is amazing. I’ll be going through something similar in 2 months when we move to Switzerland (Zurich is the most expensive city in the world), leave my full time job as a pediatrician to be a SAH mom for two years, and have to make friends speaking German! I’m sure it will be an adjustment but what an adventure. Life would be so boring if we didn’t mix things up! Good luck and I’m sure you are going to love it! When we moved here, I was 24 weeks pregnant, starting a new job at UNC and we didn’t know a single soul! It was also a week before Christmas and our furniture/goods didn’t arrive for TWO MORE WEEKS. I hope you guys don’t have to wait that long for your items, but at least you’ll have family nearby in case it happens! I was sitting on a camp chair. Also, Dan had just started his new consultant job, so my first two weeks here I was all alone … with no stuff. Depressing! We used GPS and message boards and I talked to coworkers and read blogs to find our way around. Since I was still preggo when we moved here, we just had a lot of free time to drive around, try different stores and restaurants and figure out what we liked! Then by the time we got settled and had our favorites, G was born and we already felt like we belonged here :). Moving is really hard, as is setting up a new place, but I loved the whole "Fresh Start" feel that it had to it (and I think you will, too!). 2 years ago I moved from Boston to Oxford, UK. I had gone to grad school over here before and most of my family is British (I have duel citizenship), but it was a big deal to leave my job (which is a 60% pay cut in the UK), move across the ocean and move in with my husband who I’d lived transatlantic with for 5 years! You will miss people and places. And, it is stressful moving. You will likely find it a bit frustrating to find the things that you are used to right away and there will be some culture shock. But, after about 6 months, all that will change. You will have settled a bit and figured some of these things out. You will meet new people and old friends will visit. So, if you get hit by the 6 month blues, remember that it will pass! Change is always difficult. I’m confident that you will take it all in stride! I hope your move works out as well for you as it did for me. I love Oxford now! I, of course, still miss some wonderful people (including Em B) but I’m always excited and relieved when I see these friends and it is honestly like nothing has changed. Best of luck!!!! Get a guidebook or history book on the city. You can look things up on the internet, but a book provides the random tidbits that you wouldn’t stumble across online. And be prepared to be tired! Starting a new job keeps me wiped out for about six weeks, and a new place does the same. Check out Publix (the grocery store). Most Floridians I know are 100% loyal Publix shoppers (as I was back in the day). I don’t know if you are a sub person, but Publix subs are one of my very favorite fast food options. Far far far better than Subway and the like. PS – Don’t post too much about your fabulous weather in February – I don’t want to be too jealous ;). As you know, I am practically a moving expert and every move has been coupled with a job/life change. My biggest piece of advice is to realize that it takes a really long time (years, not months) to be comfortable in a new location so be patient. You are coming to an amazing village (which I am very excited to be part of 🙂 so your transition will definitely be easier that some of mine have been. Seriously, I hope you will call me any time! And, the commenter above is right – Publix is an awesome grocery store – so much better than Kroger! When we moved, we hired movers, but the rule was 1 box packed per day per person (4 person household and we had a house). A lot of clothes got culled, which was a good thing! We also had family nearby when we moved to the East Coast, so my parents did not feel badly about outsourcing stuff to the family. When we arrived, there was a dinner waiting, groceries figured out, and things just…dealt with! Have your family help if they can. My relatives did a lot of babysitting the first few weeks while things got settled in! I’m in the middle of a giant cross-country move and all I can say is that movers are shady. Definitely get recommendations and review the fine print like it’s your job. Moving is no fun but Miami will definitely be worth the effort! I suppose being in the state that you call "in the red" will be very temporary for you, I mean, your two specialist doctors… I don’t know the salary in USA, but I know that where I live medical specialists are in the 10% richest … Be carefull how you present things. // Good luck with your move ! that is a good point. i actually used to really get annoyed when another medical blogger (in a lucrative specialty, married to a guy who did an even more lucrative specialty!) complained about $. it IS stressful right now (really) because mounting debt never feels good especially when you are used to a balanced budget. but you are correct that it hopefully will be temporary, and we’re really lucky in that regard. ps: you are in montreal, right? i need to email you about restaurant recs for our trip!! YES!! We moved to Maryland when I was six months pregnant and John started his new job then. We do life changes at once lol. Oh, it’s so cute, I have to admit, I missed my previous home, too. It was a quite cozy house, despite the fact that my husband and my little son and I were too cramped. The small rooms and the lack of personal space were very pressing on us. But we moved, eventually, we did it with help of residential moving company http://topqualitymoving.com/moving-services/resid… ! All our belongings were carefully packed and delivered to a new house, for which I’m sincerely thankful to the movers.